Please check Cappadocia Balloon Tours for further detailed information. Standard Balloon flight has a 1 hour flight time with capacity of 16 to 24 people. You will receive a buffet breakfast and champagne toast on landing. Enjoy a hot air balloon ride over one of the most magical places on earth. Continually voted one of the best destinations in the world for hot air ballooning. Please check Standard Balloon Flight for further detailed information. 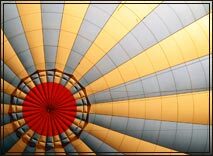 Deluxe Balloon flight has a 1.5 hour flight time with smaller capacity to the standard flights. Enjoy a slightly longer experience floating over the magical landscape that goes below you. You will receive a buffet breakfast and champagne toast on landing. Please check Deluxe Balloon Flight for further detailed information. For the special occasion, whether it be an anniversary, honeymoon, birthday or even wedding proposal, what better way than to celebrate with your own private balloon ride over one of the most beautiful places on earth. These flights are exclusive to your requests and flight time can be as long as up to 2 hours. Being a private flight you discuss your requirements at time of reservation. Please check Private Balloon Flight for further detailed information. Cappadocia is often referred to as moon like landscape - a fantastical topography. The area has been long utilized due to the soft stone, which made it easy for people to seek shelter and dig into the rocks or underground. The Open Air Museum in Goreme is fresco-adorned throughout its rock-cut churches, while the underground Cities are the most famous for drawing crowds into the region. Cappadocia is a highlight of people’s time in Turkey. You will either be drawn here for the lunarscape panoramas you will never forget, or the amazing activities that will keep you busy day and night. Cappadocia is a massive region, which would normally take weeks to explore. However, we have 3 full day tours you can select from, that will cover the best highlights of the region. The North Cappadocia (Red Tour) covers all the highlights of the Fairy Chimney region. Whereas the South Cappadocia (Green Tour) covers the Underground City, the 4.000 mt trek on Rose, Red and Meskendir Valley’s and the surrounding regions. North and South Cappadocia tours also have the Premium South Tour and Premium North Tour options, which are limited with a maximum of only 8 people on the tour to enjoy a more personalized experience. Ihlara Valley and Derinkuyu Underground City Tour is another great trip of this region. Also on offer is the Walking Tour which covers some hidden paths of Cappadocia, there are 2 and 4 hour options. Because of its special and magical landscape, there are many potential activities you can do in Cappadocia. Quad Safari, and the Horse Safari are both must do activities in this area and will also take you into completely different sites. Turkish Night and Whirling Dervishes is located in a large cave dwelling, and is also very entertaining. Turkish night is only available of a night time, therefore does not affect any of your day plans. Cappadocia is an amazing and spectacular landscape that has been sculpted by erosion over thousands of years. These cave like dwellings and rock-hewn sanctuaries date back to the Byzantine post-Iconoclastic period, as far back as 4th Century. Today what is left are these amazing troglodyte villages, underground cities that once contained human habitat and beautiful valleys that go for as far as the eye can see. For those who want the hassle taken out of organizing your day, we offer several package tours that start from Istanbul to Cappadocia. All included flight tickets, accommodation and daily sightseeing tours while in Cappadocia. For those who don’t have much time, we have two different day tours that can be completed in a 24-hour time frame. These both include a one-day tour showcasing some of Cappadocia highlights, with the added extra option to add in a balloon flight. These packages have two options, with an AM Departure Cappadocia tour departing early in the morning from Istanbul. As well as a PM Departure Cappadocia tour that departs later in the day. Both options include a 1 night stay in Cappadocia. We also have another one-night tour but it offers Two Full Days in Cappadocia. Our 3 day 2 night Cappadocia Tour is for those who slightly more flexible. It offers one extra night in Cappadocia. The lastly we also offer 4 day 3 night Cappadocia Tour from Istanbul tour which includes 3 full day tours to cover all the highlights of Cappadocia and a Turkish night as well. All Cappadocia tour packages from Istanbul include door to door transfers to and from your accommodation in Istanbul with domestic flights to Cappadocia. Accommodation is in Boutique Hotels and fully guided day tours are included in all package tours.